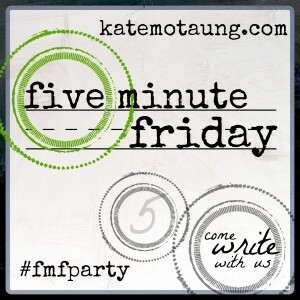 I went to the #fmfparty last night at Kate’s and actually stayed for the word prompt announcement! My blog is getting a little maintenance done to it and I’m not allowed in the backdoor to write my post but I want it ready the minute I get the go-ahead from my awesome techy guru that Hope Heart Home is good to go! And, at 3:20 p.m. Friday afternoon, HERE I AM! I believe a lot of writers felt weary after Write 31 Days, I know I did, yet it doesn’t take long to feel the yearning to pick up the pen and write. Writers write – weary or not. If we’re happy we write about it. If we’re sad we write about it. If we’re mad we write about (it’s called venting). And, what about when we get weary? We begin encouraging one another. We write Facebook posts requesting prayer. We tweet asking for support. A few private messages start back and forth. We cheer each other on. That’s how we overcome weariness. This is the perfect word for this week and you wrote about it beautifully. I have been blessed to have had an Aaron and Hur to hold my arms up for a time IRL and now I am blessed to have online sisters (like you!) who do that and who, I hope, know that they can count on me for the same. You’re right about writers writing! I’m not blogging right now but I’m writing like mad privately. I’m glad you’re not too weary to write! I definitely feel weary in this season of my life, not just from 31 Days, but EVERYTHING. So thankful God has placed encouragers in my life to keep me going! Loving the new look. And I just happen to have on my “Writers gonna write” tshirt” And yes…we will hold each other’s hands up. I know I can always count on all of you. Love you peeps! I’m hoping I get my tee TODAY! Tasha, as an empty nester I don’t have the luxury!!! But we do have a little dog I take great delight in! Weary, it’s more than just being tired. If I had been born an Israelite I like to think I would have paid attention to what Moses and learned from his example. I love this verse and the word-picture it portrays, this is praying through, not just praying. This is being intentional about a real relationship with God our Father. Thanks for sharing, He gives me hope. HE IS HOPE!!! Thanks for coming by, Nancy. What a gift to know that when we are weary – we do not stand alone! One of the great consolations and joys of life: to be supported in prayer thru the tough times and to be trusted by others for your prayers during your tough times, too. Such a blessing! We just did a chapter in our Tuesday bible study on that very verse. Jehovah-nissi, the LORD my Banner. I always find it fascinating how Father often has us on the same page though we may be towns, counties, churches and studies apart. 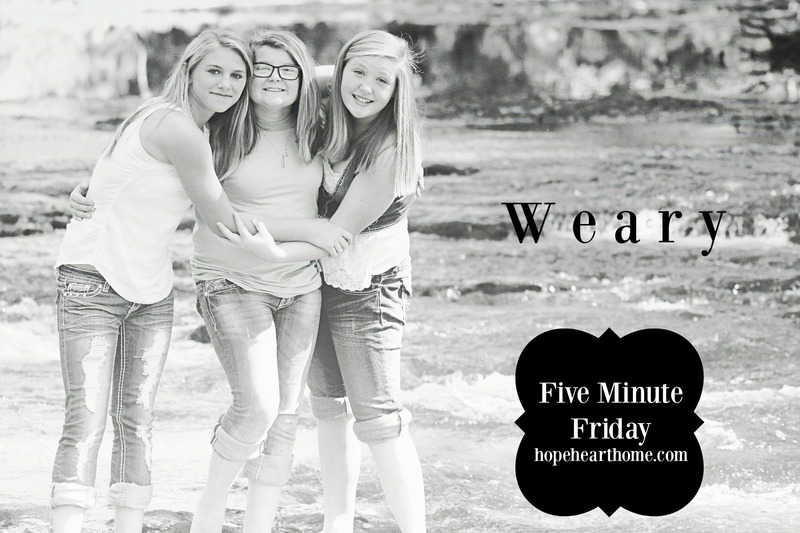 I love how He gives us sisters to hold us up when we are weary. He is awesome!!!! I also just found out, Susan, that my mentor knows you and has done some studies with you in the past. Rita Groves. Somehow in all our church going over the years I missed meeting her till recently. Anyway it’s a small world isn’t it? Yes, it is. Kingdom is small but profoundly large! I do know Rita!